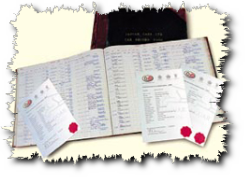 If your car was ever registered in the UK you can obtain its past history by contacting the UK - DVLA. For a small fee they will provide you with all the information they have stored on their computer system about former keepers and registered modifications to the car. Click the picture for the link to their site !